Michael Bisping and Dan Henderson were two of the oldest fighters on the card Saturday night in Los Angeles, at 37 and 45 years old respectively. Additionally, they were both fighting men who were significantly younger, as well as remarkably powerful, and few gave either man much of a chance of coming out on top. Dan Henderson stole the spotlight with a show-stopping knockout of Cuban Olympian Hector Lombard, surviving a late scare in the first round to rally back and KO Lombard with a headkick and back-elbow, before shutting the lights off with some unneeded ground and pound. At 45 years old, and as decorated as an individual can possibly be in the sport of MMA, Henderson admitted this may be the final time we see him in the octagon, and if that’s the case, it was a perfect ending to a legendary career. The main event between Michael Bisping and Luke Rockhold had been entertaining enough already in the pre-fight banter, but everyone knew a knockout was coming in the fight. What no one planned for however, was Rockhold being laid out on the canvas by “The Count” and his right hand. 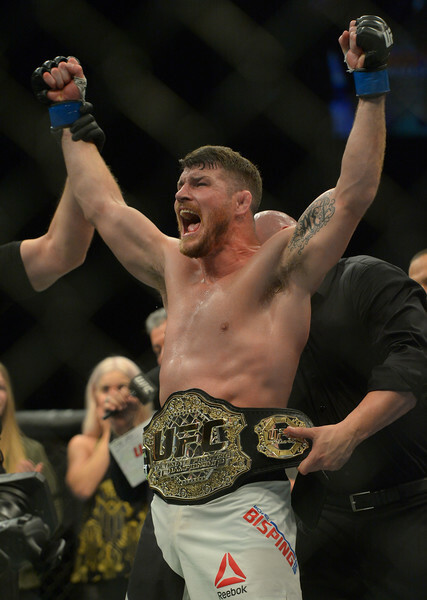 Bisping, not to be outdone by his former rival in Henderson, stormed forward against the deadly Luke Rockhold, and punished the then-champion with savage hooks and follow up punches against the cage to steal the belt from the young phenom. The brash Brit in Bisping made sure to remind Rockhold throughout the following press-conference as well, as the trash talk continued to flow even after the fight ended, with Rockhold promising to “f**king kill that maggot” Bisping in their next fight, which Bisping responded to harshly stating “oh shut the f**k up Luke and go get knocked out again.” The hate is VERY real between both fighters, and while a rubber-match between the two would surely be massive, it’s hard to award an immediate rematch to Rockhold, due to the dominant nature of Bisping’s victory. Uriah Faber has been a bantamweight mainstay since the early 2000’s, his California surfer-style and laid-back confidence, paired with his penchant for finishing fights, made him one of the biggest stars in the history of the sport. His remarkable wins over Jose Aldo, Scott Jorgenson, Eddie Wineland, Jens Pulver, as well as his losing efforts against Jose Aldo, made him one of the most respected and loved fighters on the planet, but at UFC 199, “The California Kid” may have roared his last roar. 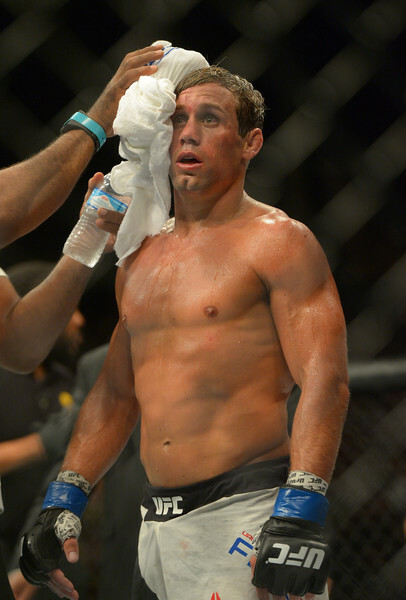 In his title fight against Domenic Cruz, to finally settle the score between one of the biggest rivalries in the history of MMA, Cruz thoroughly outclassed Faber throughout the entire affair, his blazing speed and newfound power dropping Faber on multiple occasions and showing that time brings all eras to an end, eventually. While Faber had some moments throughout the contest, it was abundantly clear that Domenic Cruz has officially established himself as the greatest Bantamweight of all time, as well as a pound-for-pound best, and that the time for Faber to be a relevant title contender is finally over. At 37 years old and after compiling a record of 33-9 with an astounding 28 finishes, Faber will likely decide to hang up the gloves. All we can do is thank him for being the first of the great “little-guys”, and truly one of a kind. 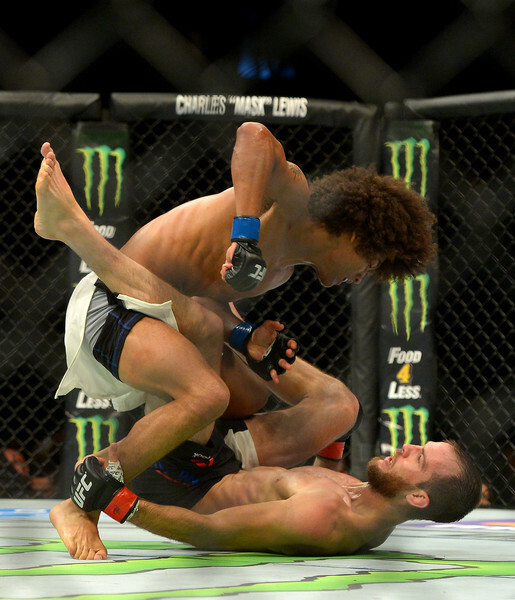 Alex Caceres used to be a fun, but average, fighter. He was athletic, but just lacked experience. He was powerful, but didn’t land enough. After moving up a weight class, Alex “Bruce Leeroy” Caceres took on established UFC veteran Cole Miller…and absolutely wiped the floor with him. Darting in and out and around like a gnat, Caceres punished Miller with sharp combinations and unusual angles, busting up the long-time veterans face and slowly killing the previous ideas of his athletic ceiling. While Miller almost had Alex in trouble in the third round with multiple submissions, Caceres was able to escape and attack with some ground and pound of his own after a truly phenomenal scramble between Miller and Caceres that brought the crowd to its feet. It’s rare for a crowd to give a standing ovation for a technical ground exchange, but the expertise of ground-game demonstrated between the two in the third round was a delight to watch, and truly exciting. Dustin Porier is a Real Threat at Lightweight. Dustin Porier was a good, not great, but always exciting featherweight two years ago. A blistering straight left from Connor McGregor sent the Louisiana brawler straight down to the canvas, and up into the lightweight ranks. 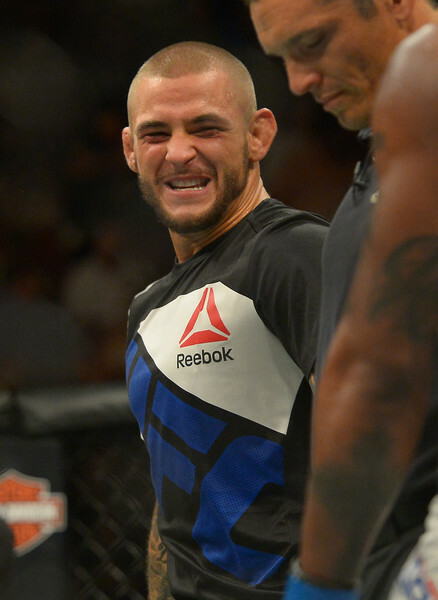 As a lightweight, “The Diamond” has completely reinvented himself, a truly well-rounded threat that finds himself enjoying a four-fight win streak, with two knockouts and a submission, and is likely settling into the top 10 in one of the UFC’s most competitive weight classes. Poirier put on a striking clinic against former top 10 fighter Bobby “King” Green, putting an empathetic end to a week of heated trash talk when he dropped green to the canvas and finished him off with some ruthless follow up punches. Poirier will likely meet an officially ranked opponent in his next fight, and he will likely shine as he continues to find new life at a higher weight class.